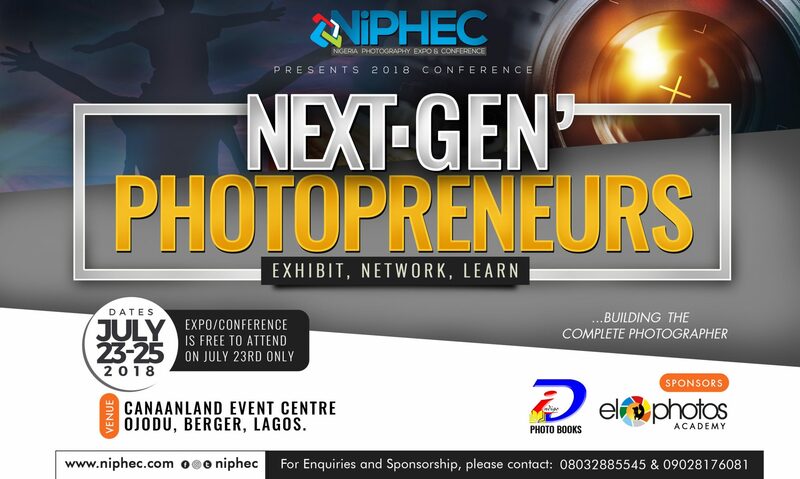 Continue reading "FINALLY OUT: NiPHEC 2015 Schedule"
Continue reading "Preaching the Gospel of Photography"
Continue reading "NiPHEC 2015 To Hold June 14 – 20, 2015"
Continue reading "FREE Pre-NiPHEC Seminar for Secondary School & Undergraduate STUDENTS"
Continue reading "8 Reasons Why You Should Attend Nigeria Photography Expo & Conference (NiPHEC)"
Continue reading "Registration is on for NiPHEC 2014"
Continue reading "NiPHEC 2013 in Pictures"
And the winners of the Nikon-NiPHEC Photo Contest are…. Continue reading "And the winners of the Nikon-NiPHEC Photo Contest are…." Continue reading "Coming Soon 2 a Photography Conference Near U: A BLIND Photographer"
Continue reading "EXPO Hall Floor Plan For EXHIBITORS"
Continue reading "The Psychiatric Ward Nurse"
Continue reading "35% off Exhibition Space at NiPHEC 2013"
Continue reading "Models Needed For Joe McNally’s Lighting Workshops"
Continue reading "The NiPHEC Evolution"
Continue reading "NiPHEC 2018 New Dates"
Continue reading "UPDATED VENUES FOR NiPHEC 2017 CLASSES"
Continue reading "You’re invited to Nigeria Photography Expo & Conference 2015 (Lagos) (Jun 16, 2015 – Jun 20, 2015)"
Continue reading "The 9-cities Photography Workshop Tour Begins…"
Continue reading "NiPHEC Road Tour: 9 cities, 1 Workshop"
Continue reading "Kelechi Amadi-Obi, Don Barber, Uche James Iroha, Aisha Augie-Kuta & many more to Speak @ Nigeria Photography Expo & Conference 2014"